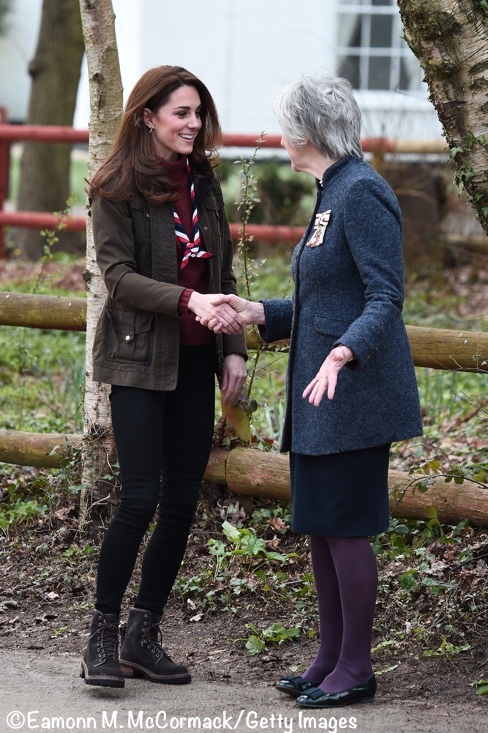 The Duchess was in familiar pieces for today’s engagement with the Scouts. Above, Kate being welcomed by Jennifer Tolhurst, the Lord-Lieutenant of Essex. Kate brought back a Catherine Walker coat for tonight’s Remembrance Sunday service at Westminster Abbey. 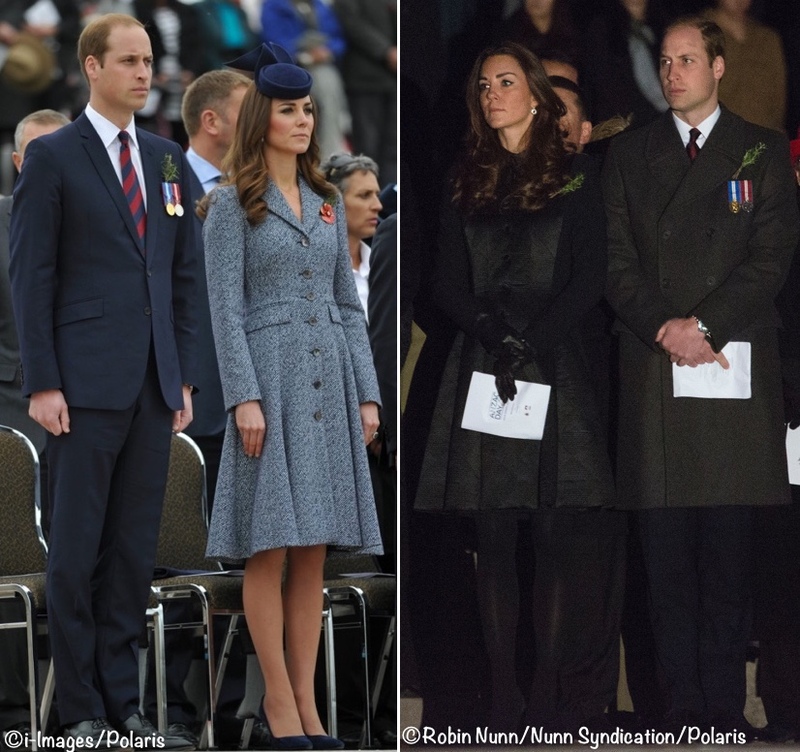 The Duchess of Cambridge wore Alexander McQueen for today’s historic Remembrance Sunday ceremonies. 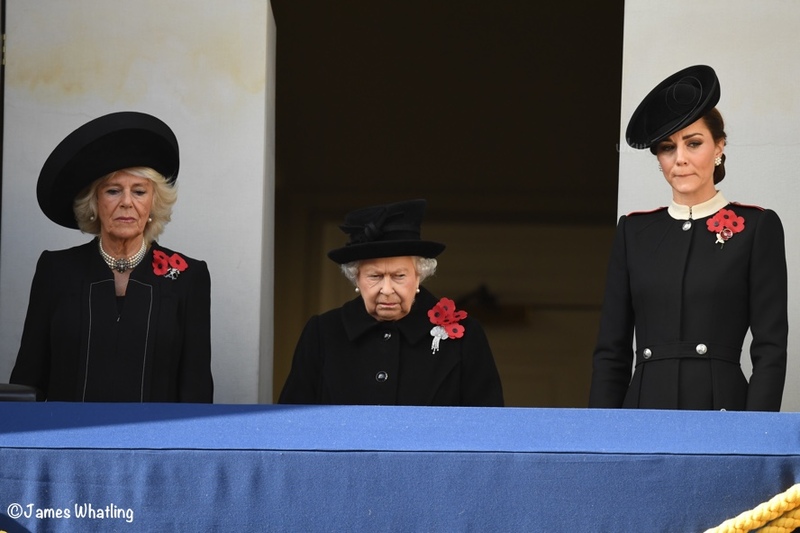 Camilla, the Duchess of Cornwall, the Queen, and the Duchess of Cambridge watched the ceremony in Whitehall.